We'll answer all of your puppy questions and share the techniques and tricks that really work to make puppies behave. Our puppy classes will give your puppy the behavioral training, obedience skills and socialization she needs to become a great pet. Our small, workshop-style classes are the fastest and easiest way for most dog owners to achieve their obedience goals. You'll love the changes you'll see in your dog as he learns how much fun good behavior can be. All classes are led by Kim Roche herself, never an intern or assistant. Classes fill quickly, so reserve your spot today! Thursday classes meet inside at (2235 S. Lamar Blvd.). Do you prefer to work at your own pace, own multiple dogs or just can't fit a group class into your schedule? 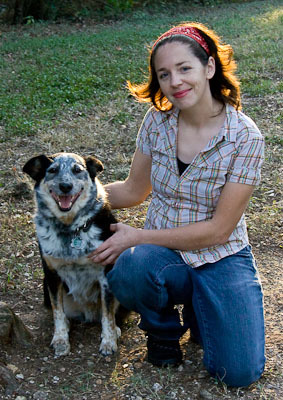 Kim offers in-home private lessons to residents of Austin, TX. Watch the trailer for "A Dog Walker's Christmas Tale," starring Kim the Dog Trainer students Henry, Izzy and Nala online!